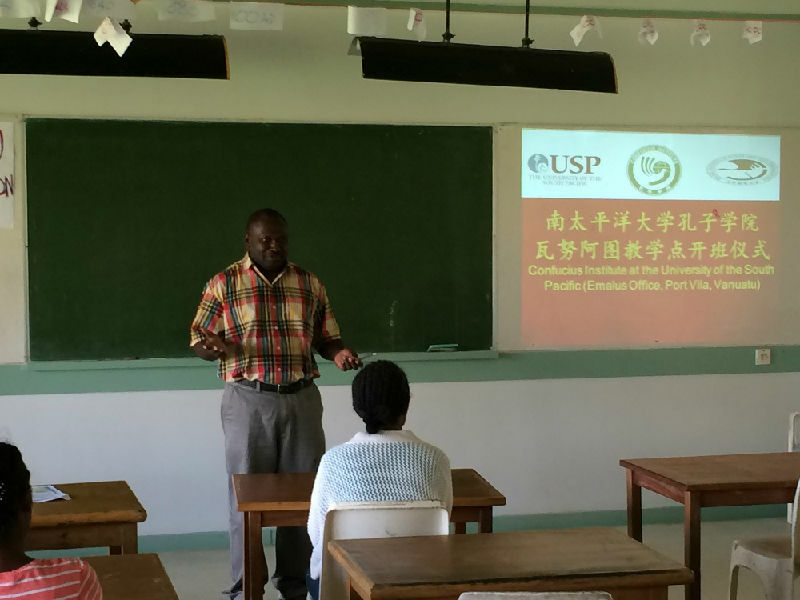 On August 5th, the Confucius Institute at the University of the South Pacific (CI-USP) launched its first Chinese Language classes at Emalus Campus of the USP in Port Vila, Vanuatu. Mr Ruben Bakeo Markward, the Campus manager, attended the launch ceremony and delivered a speech. He congratulated the CI-USP on its success in opening Chinese classes in the campus and warmly welcomed the students. Ruben said Vanuatu was an influential tourism destination in the South Pacific region; in recent years, more and more Chinese people came to Vanuatu to travel and to invest, encouraging many local people to learn Chinese. Meanwhile, Mr. Ruben thanked the CI-USP for its excellent work in the opening course at Emalus after having overcome varied difficulties in a short time, and took pictures with the students. The Chinese Embassy in Vanuatu and the CI-USP Head Office in Suva, Fiji also sent their congratulatory messages. The USP is one of the only two regional universities in the world, established by 12 South Pacific Ocean countries with 14 campuses and teaching centres. The CI-USP, headquartered in Laucala Campus, Suva, Fiji, is co-established by Beijing University of Posts and Telecommunications and the USP, and officially opened on September 6th, 2012. Soon, with progressive teaching philosophy, professional teaching equipment and fruitful feedbacks from its learners, the CI-USP has gained a sound reputation. After 2 years of development, the total amount of the CI-USP learners has climbed over 1,000; the CI-USP’s social influence continues to expand and the demand of opening Chinese course in other campuses increasingly goes up. 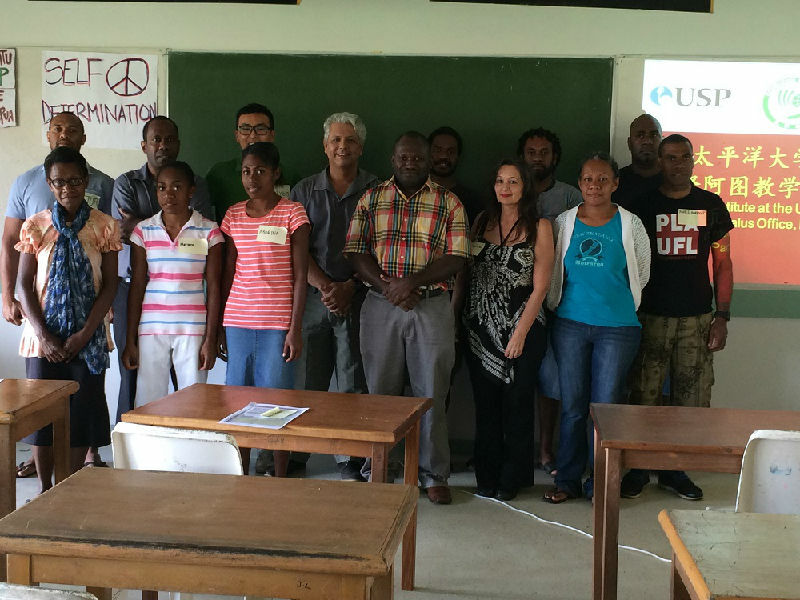 In this April, the CI-USP opened Chinese classes in Lautoka Campus located in Lautoka, Fiji’s second largest city, catering for the need of grand western communities. 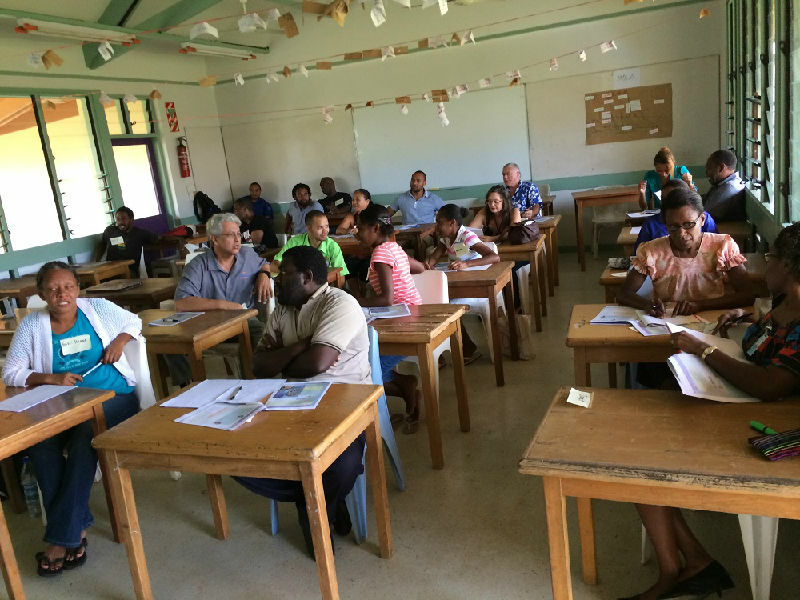 Now, the CI-USP has expanded its teaching map again to the USP’s Emalus Campus in Port Vila, Vanuatu and put another landmark on its strategic development. It is believed that the first Chinese class students from government, tourism and hospitality, banking and communications and so forth will have a positive influence on the communication and cooperation between Vanuatu and China in the future.